Do you have a thousand followers, or a couple friends? Are you the next YouTube star, or do you prefer to sing in the shower? Do you love meeting people and connecting with them online, or would you rather have a one-on-one chat with someone over coffee? Does the idea of meeting new people thrill you, or intimidate you? Meeting new people, making friends, connecting with others, and building your network is different for different people. While extroverts may be able to expand their network more quickly and easily than introverts, they may not make connections that are as meaningful as the ones that introverts make. And neither option – a large network of unfamiliar names and faces, or a smaller group of close friends and associates – is better or worse than the other. Regardless of who you are or how you connect with people, building and maintaining your network becomes an important part of your college life from the moment you step on campus. You’ll meet roommates, classmates, students in your organizations, work colleagues, professors, and advisors. Through Career Services, you can make connections with your Career Peer Advisors, your Career Consultant, and the employers who can’t wait to have you on their teams! And, while not all of the new people you meet will become your best friends or colleagues, they each have experiences that they can share with you to help you realize your next step towards your life after graduation. Because of the vast number of people you’ll come into contact with during college, building your network can be easy, even if you’re an introvert. Maintaining that network doesn’t have to be hard either, but it will require some forethought. Before you add your professor to your Facebook, check out our social media tips below. Decide what social media platforms, if any, you’ll want to use to connect with people. If you already have social media accounts and don’t want people to find and add you, make sure your privacy settings are updated. Keep in mind that what is posted online never truly goes away, even if your account is completely private. Some people choose to create a public account that anyone can see, including potential employers. If you decide to do this, watch what you share and post to that site. While you do have to be mindful of what you share, creating an online presence is increasingly important for those who will eventually be seeking employment. Many employers research potential hires and look at their social media accounts to see if their activity aligns with the organization’s culture. For maintaining professional networks, we recommend using LinkedIn. In addition to being the preferred platform of many employers, you are able to customize your link so that you can easily add it to business cards or your resume. If you need assistance setting up your LinkedIn profile, or understanding how to use LinkedIn, schedule an appointment with your Career Consultant. Want to know what others see before they see it? Type your name into Google and see what pops up. If you don’t like what you see, you can try to work with a Search Engine Optimization expert to bury undesired content or make other content more relevant. Your middle school crazyygurl401@hotmail.com email address is not the address you want to email your professors or advisor from, and it is certainly not what you want listed on your resume. Because your social media accounts are often linked to an email address, consider creating a professional email address and relinking the accounts to it. That way, if the email address ever shows up, you don’t have to worry about it being linked somewhere that embarrasses you or that you no longer access. When creating a professional email account, we always recommend using some combination of your first and last name. College is a great opportunity for you to begin building your network and making connections. If you’re not sure how to start, try saying hello! 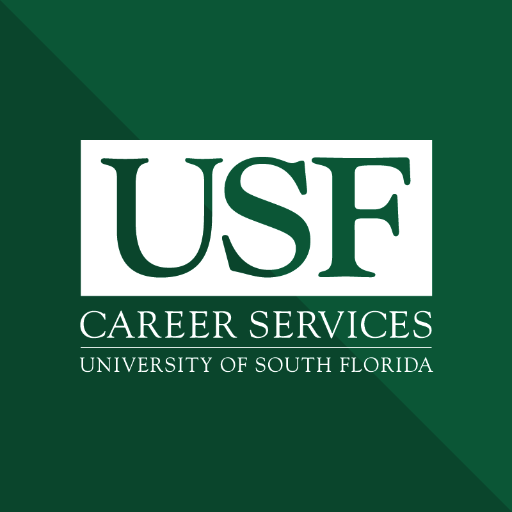 If you need help figuring out how to network, what kinds of people would be good for you to connect with, or how you can get involved at networking events, contact USF Career Services to schedule an appointment with your Career Consultant or view out tips online here: http://www.usf.edu/career-services/students/networking-intro.aspx.